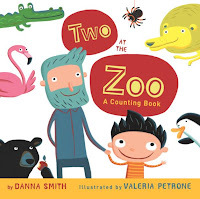 Story Time With the Library Lady: Theme of the Week: It's A ZOO In Here! And so it was this morning, when I had too many people to fit into my teeny-tiny story room. What were they all doing in here on this beautiful May morning? Luckily, we recently replaced the two large heavy tables I used to have in the children's room with 4 smaller, lighter square ones. They are easy to move and when they are moved, there is a large open area I use for summer programming. So I did this program--one of my favorites--in a large open space. Luckily, the books I used today are both large, if not super big, and people were able to see them. Besides, this is a typical example of one of my programs--lots of props and lots of action! The animals at the zoo are all ready to go to sleep. All except the newly arrived Baby BeeBee bird that is--he has been sleeping all day, and his cries of "beebeebobbibeebee" keep everyone up all night. 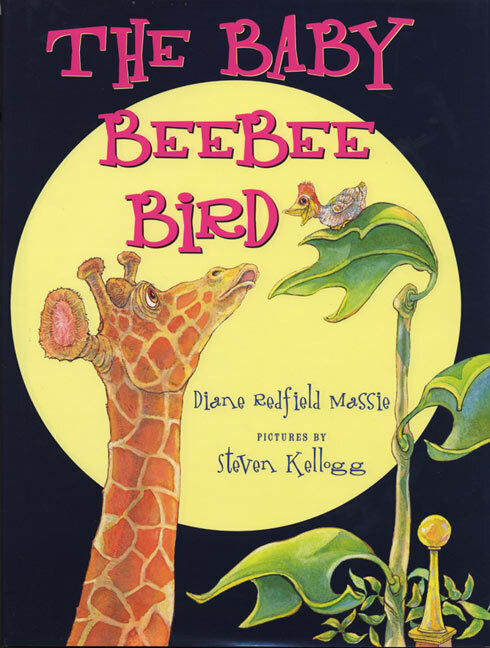 Happily the lion comes up with a noisy solution that convinces the little bird that "Night time is really best for sleeping--especially for little birds!" 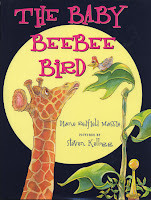 The large Steven Kellogg illustrations are perfect for a group read as are the various noises. 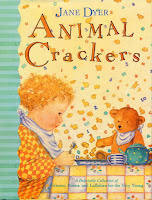 The kids will love this--though your throat might not, that's why I keep that water bottle with me at story time! 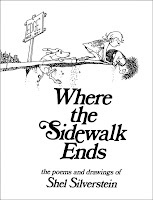 You really don't need the book to sing this classic Tom Paxton song with children. At "Mother Goose Time" for the toddlers, I sing this on a regular basis. But the pictures are fun to pore over anyway--big, bright and full of fun details. And there's lots of action whether the kids are standing or sitting! 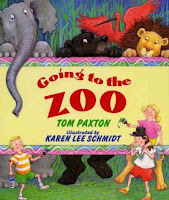 Sadly, the Tom Paxton album of the same title is out of print. But thanks to the wonders of MP3 downloads, his version is available again. 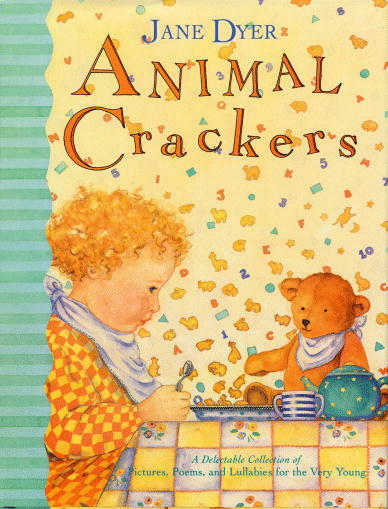 There are also plenty of covers of this song by other terrific children's musicians, including "Peter, Paul &Mary", Raffi, & "Sharon,Lois & Bram". 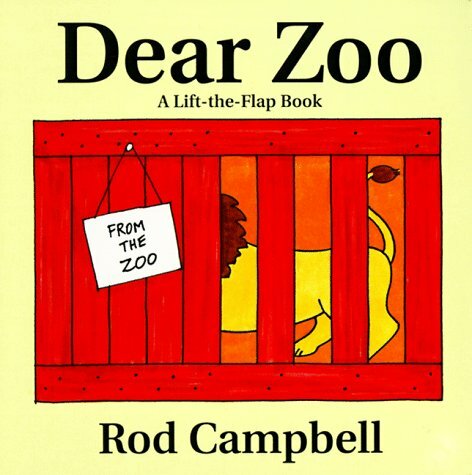 I don't buy lift the flap/pop up/fold out/gimmick books in general for the library, because the first kid that handles them tears them--they're just too fragile for circulating use. But a lot of them are fun for use at story time. 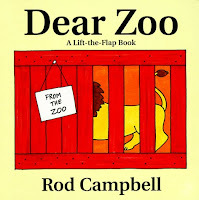 If I have a small group of older kids, I can go round in turn and let them open the flaps on this book. But usually I have younger kids and a LOT of them.So instead of using the book, I use puppets in a big bin to tell this story. I am lucky enough to have all the needed puppets--even a camel--but if you didn't you could always change the animals to ones that you do own, or make paper bag or stick puppets. The Internet is great for patterns these days! 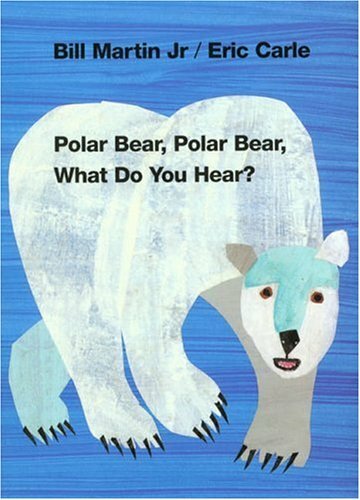 I have also used Eric Carle's "Polar Bear, Polar Bear"--it's available as a big book. And I got this one last year and really liked it. "Going to the Zoo" is an action song in itself. With or without the book, there's tons of movement opportunity here. Here we go to the zoo in the park, the zoo in the park, the zoo in the park. Here we go to the zoo in the park, so early in the morning! 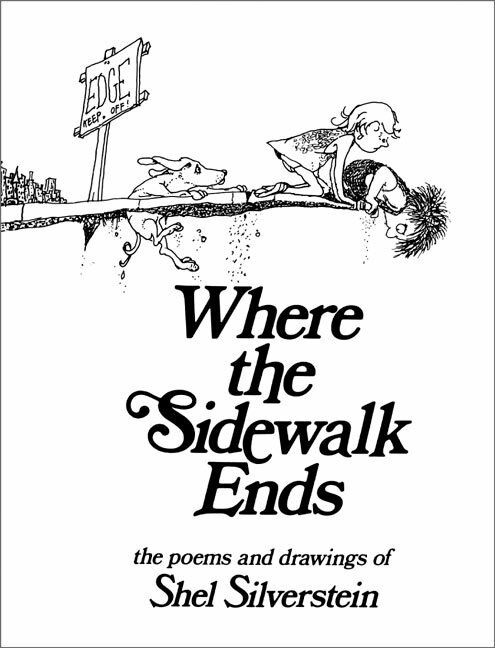 There are verses about "how the elephant walks", "the monkey jumps", etc. SC and I started playing it as a lap game, and I still play it that way with the Mother Goose set. But with the older kids, it became a running, jumping, crawling, slithering, whatever-animal-they-come-up-with-I-find-a-movement sort of game and they love it! Great if you've got lots of space, but workable even in a small area. That's all for this week. Coming next week? Gardens, I think!